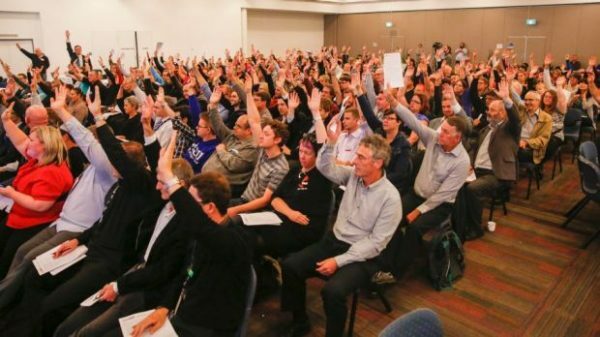 Canberra residents will have their say in setting spending priorities through a participatory budgeting pilot for the ACT 2019-20 Budget. Canberra residents look set to have their say in the ACT budgeting process – including setting spending priorities – following the passing of a motion in the Legislative Assembly this morning. Greens MLA Caroline Le Couteur this morning received support for her motion calling on the Government to commit to a participatory budgeting pilot for the ACT Budget for the 2019-20 financial year. Ms Couteur said that participatory budgeting involves a cross-section of the community having input into the budgeting process and has been undertaken successfully at local council level elsewhere. “Participatory budgeting offers citizens a chance to learn, debate and deliberate on major government projects,” Ms Le Couteur said. “It ensures that a cross-section of the community is heard, who can then consider competing priorities and make informed choices,” she said. “The government currently has a budget consultation process that considers submissions from peak bodies and community stakeholders. In 2014, the City of Melbourne used participatory budgeting to create its first ever 10-Year Financial Plan, worth $5 billion. In 2013-14, the City of Greater Geraldton conducted a successful Community Summit to prioritise 99 non-mandatory services worth over $8.5 million within budget constraints of $6 million. “It’s time for the ACT to join this growing movement, and set new standards when it comes to community engagement,” she said. Greens MLA Caroline Le Couteur received support for her motion calling for a participatory budgeting pilot. 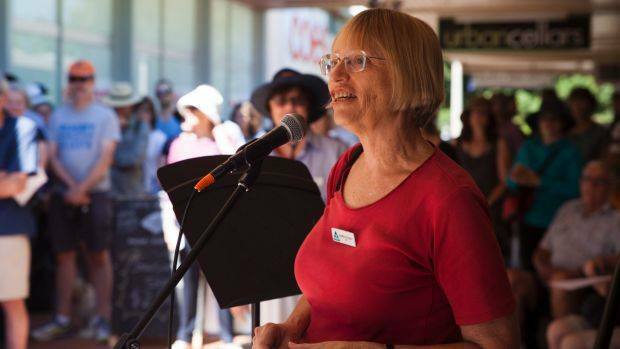 Ms Le Couteur said the ACT’s $5.5 billion annual budget is unique within Australia, and unusual internationally, in combining both local and state government service delivery functions. Ms Le Couteur said that the Government could commit the discretionary portion of the City Services budget – an estimated 20 per cent of the total City Services budget – to the participatory budgeting pilot process. Participatory budgeting is expected to work in a similar way to a citizens’ jury, where a randomly-selected cross-section of citizens who are broadly representative of the community are chosen to sit on a panel. The main difference is that citizens’ juries can be held on any issue whereas participatory budgeting is solely focussed on the budgetary processes and spending priorities. Do you think the community should have more say on the budget and the ACT’s spending priorities? What would you like to see changed? Let us know your thoughts in the comments below. If 20%, or thereabouts, of the City Services budget is “discretionary” to the extent that it can be put up for grabs in an(other) experiment in representation, it could just be cut and returned to the ratepayers of Canberra in the form of a 12 months pause in the stamp duty to rates experiment. This would be particularly good news for people whose current choices are between lighting/heating and eating. My experience in Canberra is that wealthier, better educated, better connected and those from a higher socio economic area are able to garner support and action through public forums at the expense of more struggling people and areas who can’t mount an effective argument. It’s why public pressure on Inner South housing Developments around Yarralumla and Red Hill has seen development cancelled or vastly reduced in size. It’s why Dickson College was able to stay open after making the final list for closure in 2006. But, at the same time ACT Government hit Kambah residents very hard and closed 2 Pre-schools, 3 Primary Schools and a high school in the one suburb. It’s also why residents of Holt and Higgins lost both their Primary and Pre Schools in the ACT Governments school closures, but the Pre-schools for Hackett and Reid won a last minute reprieve. I just can’t see residents of Charnwood, Kambah, Richardson or Holt garnering enough support and making the winning argument over active, connected and committed residents of the inner South and the inner North. Bit late now, budget is out of control with the tram. Wish we’d had this opportunity a few years ago.